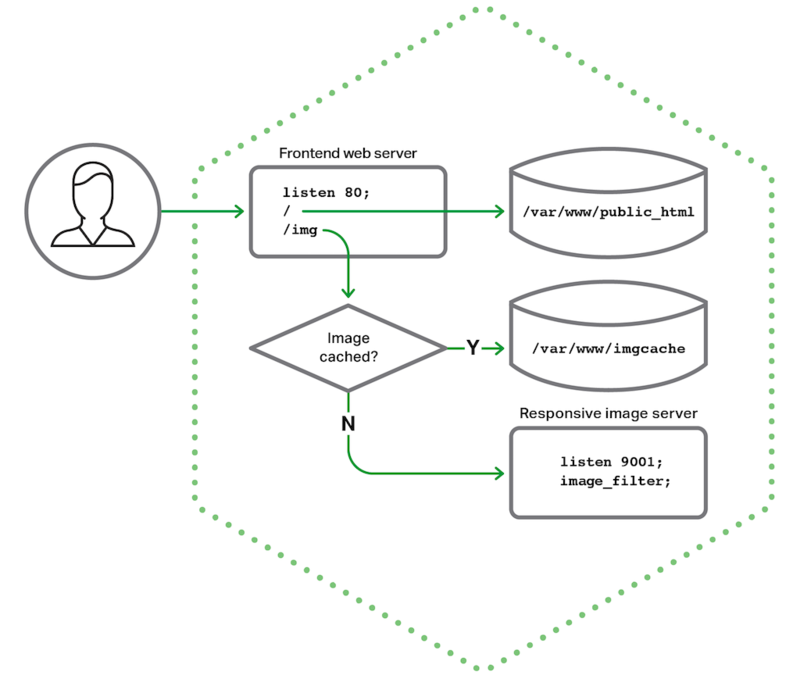 In modern web development, we have a couple of approaches to serve our image files on public. The simplest way is to serve your images directly from your web server. If your website is popular and in high traffic, you can choose to serve your images behind CDN (like Cloudflare, Cloudfront, etc.) for saving the machine resource and network bandwidth on your server. If you don't need resize for your images dynamically, things will become much easier. All you need to do is to resize your images in different sizes beforehand and save them in your storage. The image quality, width, height and other effects need to be configured in advance. What would that be if you need to handle dynamic resizing? You can resize your images every single time when there's a resizing request. However, the more effective solution is to cache our resized image variants so that subsequent requests for each variant are served from the cache, without resizing these images again. We can also define another separate virtual server that performs image resizing, and proxy requests to it only if the requested image size is not already in the cache. We call this the responsive image server. 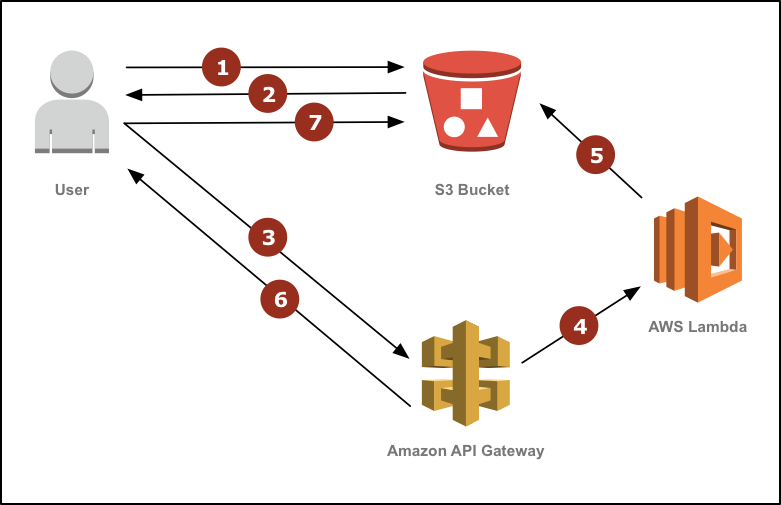 If your images are stored in AWS S3, you can consider to use S3 event notifications and AWS Lambda for eager processing of images when a new object is created in a bucket. Also, there are many mature cloud services providing images hosting, resizing and even cropping. Of course, most of them are paid solutions. As what I've mentioned previously, you have a nice solution in AWS S3. But what if you store your images on Google Cloud Storage? Absolutely, you can find a similar solution like what we did in AWS. Google Cloud has a serverless service called Cloud Function (like Lambda in AWS). But today, I'm going to introduce an alternative approach for resizing images on GCS to you. App Engine provides the ability to manipulate image data using a dedicated Images service. The Images service can manipulate images, composite multiple images into a single image, convert image formats, provide image metadata such as format, width, height, and a histogram of color values. The Images service on Google App Engine can accept image data directly from the app, or it can use a Google Cloud Storage value. Images stored in Cloud Storage and Cloud Blobstore can be up to the maximum allowed value for the respective service. The transformed image is returned directly to the app, and must be less than 32 megabytes. It will return a magic URL that serves the image in a format that allows dynamic resizing and cropping, so you don’t need to store different image sizes on the server. With this magic image URL, you can add many parameters after this link for resizing, cropping, rotating, and so on. The best part of this solution is: This service is totally free! You only need to pay for the storage fee on GCS. If you serve images from Google Cloud Storage, you cannot serve an image from two separate apps. Only the first app that calls get_serving_url on the image can get the URL to serve it because that app has obtained ownership of the image. I haven't verified if the bandwidth is also excluded from the pricing. I can't find any price plan for this service though. You can put many parameters together, starting with `=` and concat them with `-` if you have multiple parameters. Unfortunately, the bad news is this API is only accessible on GAE environment. You can't call it from other servers even if you're using GCE or GKE. So, to be able to get this magic URL, you need to deploy a proxy service on GAE. Here's a python version for demonstration, built with Flask. You can follow this repository and deploy it to your GAE environment directly. nu — no-upscaling. Disables resizing an image to larger than its original resolution. Forcing PNG, WebP and GIF outputs can work in combination with circular crops for a transparent background. Forcing JPG can be combined with border color to fill in backgrounds in transparent images.